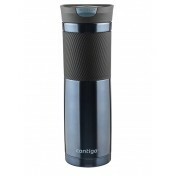 Sip confidently with an AUTOSEAL® technology! When attaching lid, make sure the drink seal is in the open position. 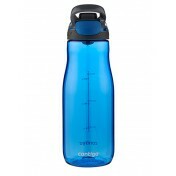 The SNAPSEAL™ lid came with your new purchase is designed to fit only your new mug. Not for use with other products. To attach the lid, apply slight downward pleassure and rotate counter-clockwise until you hear a click and lid falls into place. Then rotate lid clockwise to tighten completely. Snap open the drink seal before rinsing or washing. 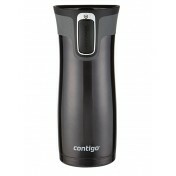 Rinse immediately after each use with warm water. 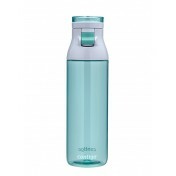 Lid and UNPAINTED stainless steel body are top-rack dishwasher safe. HAND-WASH ONLY any PAINTED stainless steel body. 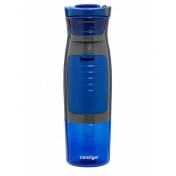 ALWAYS STORE TUMBLER WITH LID REMOVED to allow all parts to dry completely. 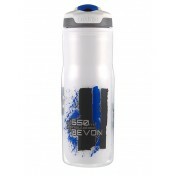 It is NOT neccessary to remove the silicone sleeve from the bottle for washing. RINSE IMMEDIATELY AFTER EACH USE. 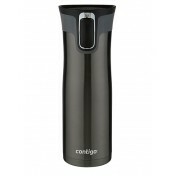 Lid and glass body with silicone sleeve are top-rack dishwasher safe. If washing by hand, wash glass body and attached lid with warm water and a mild detergent. Rinse both lid and body thoroughly before use. 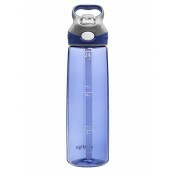 Always press the AUTOSEAL® button with the bottle in an UPRIGHT position prior to tipping it to drink. This will release any built-up pressure. Release button to seal. Avoid accidental depressing of the AUTOSEAL® button by keeping the buttom free and clear of other objects. such as in an enclosed car, twist the lid a quarter turn to relieve pressure, then reseal the lid before use. 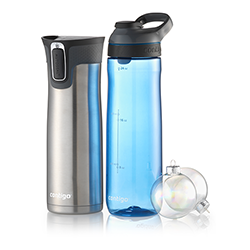 The AUTOSEAL® lid that came from your new purchase is designed to only fit your Contigo® water bottle. Not for use with other products. 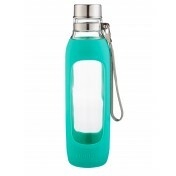 Use the bottle's lock feature to avoid unintended depressing of the AUTOSPOUT® button. 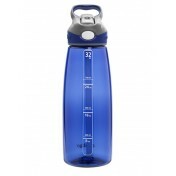 RINSE LID IMMEDIATELY AFTER EACH USE with warm water, pressing the AUTOSEAL® button so water flows through the Drink Spout. If washing by hand, soak the lid for 10 minutes in hot, soapy tap water. Hand-wash body with warm water and a mild detergent. 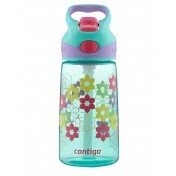 For best results, use a Contigo® bottle brush, www.GoContigo.com. 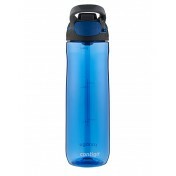 Lid, plastic body, and straw are top-rack dishwasher safe. If desired, add ice to body with lid removed. Prior to drinking fill bottle with the lid on. 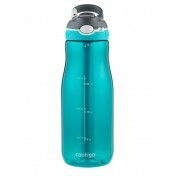 For the Jefferson model, it is not neccessary to remove the silicone sleeve from the bottle for washing. 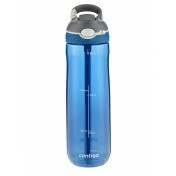 Lid and plastic body are top-rack dishwasher safe. 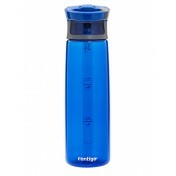 Not for use with hot, carbonated, pulpy or perishable beverages. 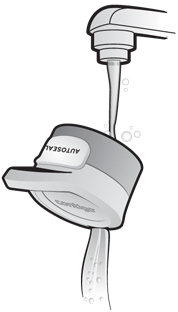 RINSE LID IMMEDIATELY AFTER EACH USE with warm water and spout in the open position so water flows through. 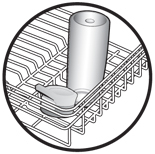 Then wash lid in top rack of dishwasher, or soak lid for 10 minutes in hot, soapy tap water. Rinse thoroughly.